HG Logistics News Super Bowl 50: Old School or Young Blood? Super Bowl 50: Old School or Young Blood? This Sunday, the NFL will celebrate Super Bowl 50. 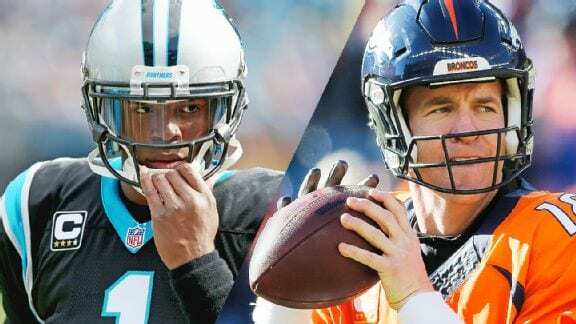 The Denver Broncos, led by NFL veteran and time-tested quarterback Peyton Manning will square off against the Carolina Panthers led by fresh and spunky quarterback Cam Newton. There is much debate as to who will come out on top and which of the two quarterbacks is best suited to be at the helm of a Super Bowl team I know. I’ll be watching to see the end result! I’m not going to lie, I have a favorite in mind. As a hint, I have a daughter named Peyton. While I admit I’ve loved the Manning family since Peyton’s days in Indianapolis as a Colt, I can see the energy that Cam brings to the game. Let’s face facts, old school people tend to use proven methods of doing things that seem to be fail-proof. They go through the same motions time after time and come up with great results just as often. New and fresh people are constantly trying the newest thing, the latest innovation. They often bring an energy and sense of urgency contrary to the sometimes stubborn determination of the veteran. Sometimes it is difficult to decide whether it is better to be a slow burning ember or a sudden spark. At HG Logistics LLC, a third party logistics company and transportation broker located in Cincinnati, Ohio, we see the value in both. That’s why when it comes to your freight, we use our fresh talent and new technologies to execute our time tested strategies. Old meets new. While in the Super Bowl it is going to be a fierce competition, in freight, it’s a beautiful and successful marriage. Do you want to benefit from the experience of old-school and the energy of new-school? Give us a call! For more information on HG Logistics, a third party logistics company and freight broker located in Cincinnati, OH. Please contact us .